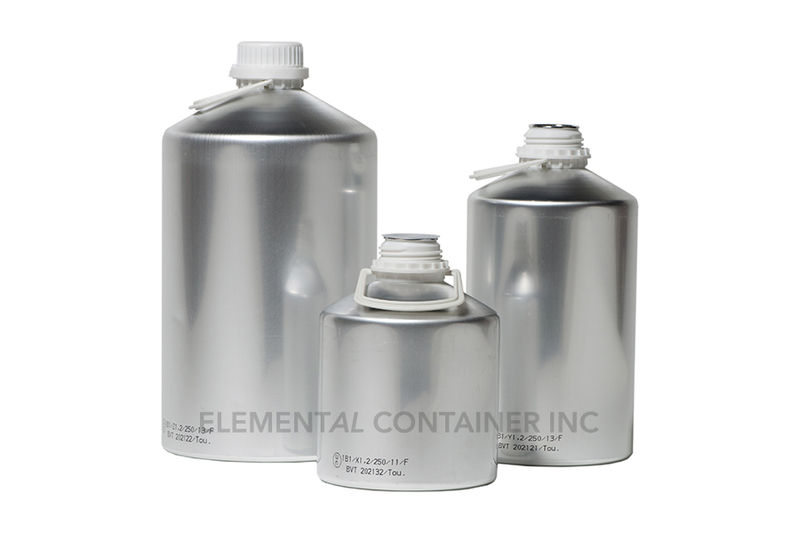 Aluminum solvent bottles by Elemental Container are superior one-piece canisters with advanced closure systems and liners to guarantee minimum weight lost and prevent contamination of the environment. 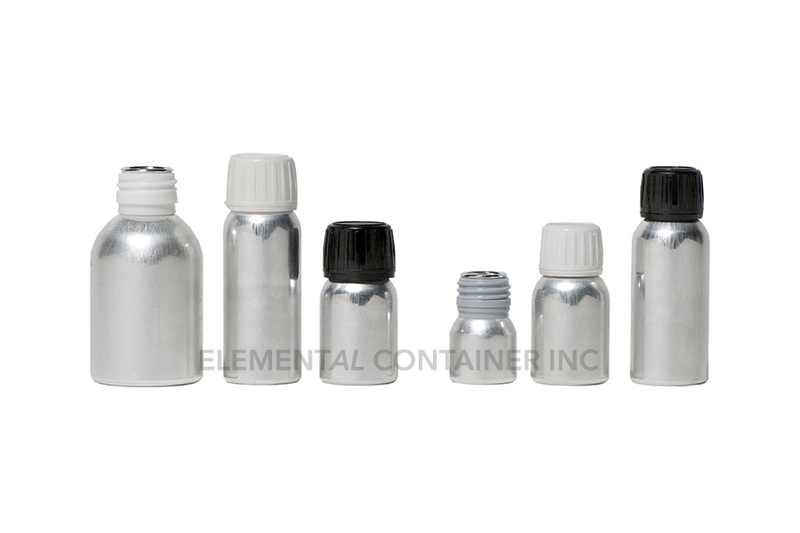 Ranging from 20ml (0.7 oz.) 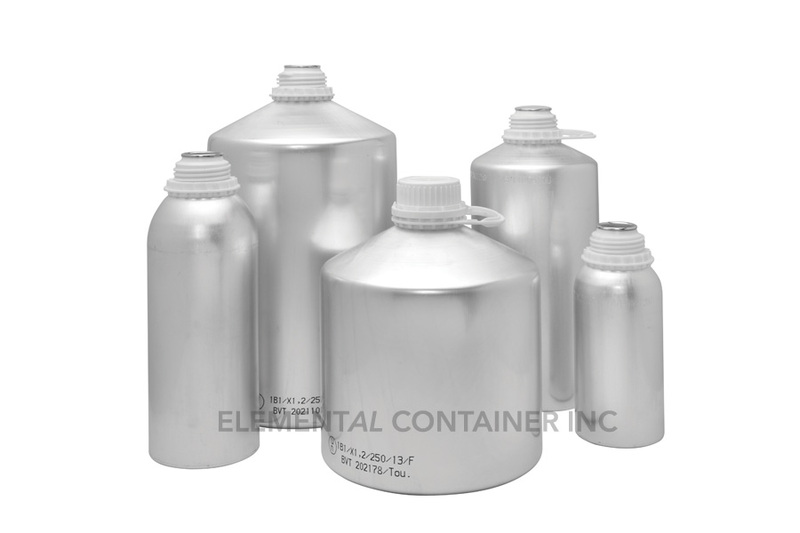 to 315 ml (10 oz. 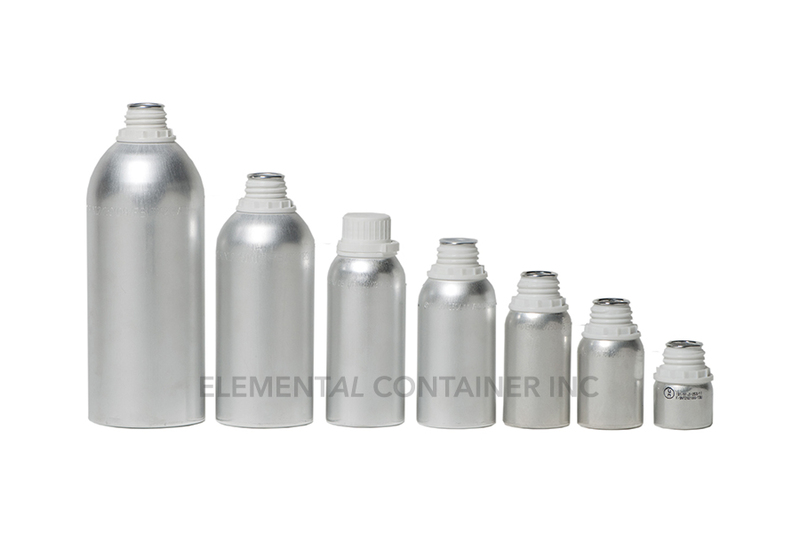 ), these bottles are ideal for shipping liquid products. 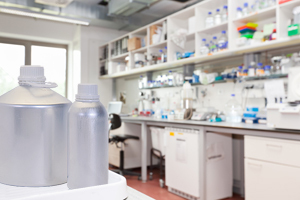 They feature a tamper-evident cap.